Photo: Krystal Atwater/NFL. Click here for the close-up. 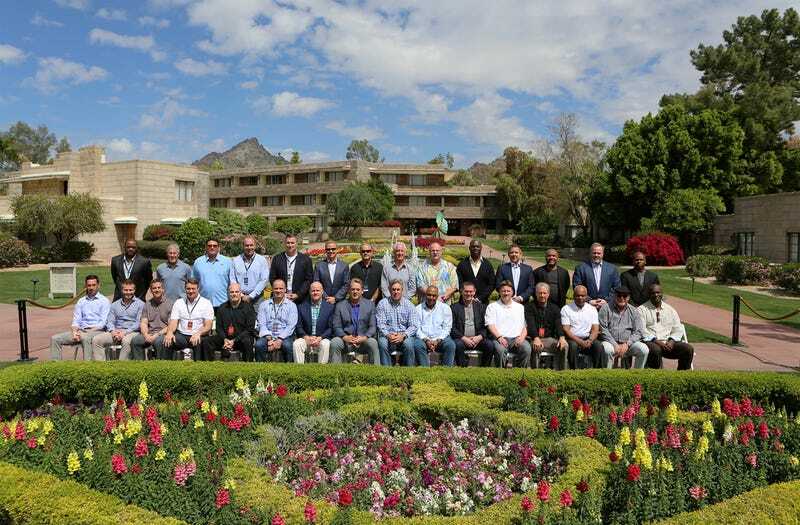 The NFL head coaches met in Phoenix for their annual meeting, and as usual, posed for a group photo. Gone is Jeff Fisher and his leisure suit, but Andy Reid’s vacation vibes remain. Ben McAdoo’s hair is exactly as you saw it last. Two coaches skipped this year’s picture: Bill Belichick (“scouting conflict”) and Adam Gase. The other 30 guys will regret the five minutes they spent getting arranged for this photo instead of thinking about football.